Aston Villa have completed the signing of young defender Axel Tuanzebe on loan from Manchester United till the end of the 2017/18 season. The 21 year old becomes the third United player to be sent out on loan in January 2018 after James Wilson (Sheff Utd) and Demetri Mitchell (Heart of Midlothian), and is also Villa’s first signing of the winter window. Tuanzebe has struggled for first team minutes at United this season. He has had a grand total of one minute of league playing time, coming on as a 92nd minute sub for Juan Mata in United’s 2-0 win over Everton at Goodison Park. Other appearances include the full 90 in a League Cup game against Swansea and 18 minutes in the home CL game against CSKA Moscow (as a second half sub for Antonio Valencia). 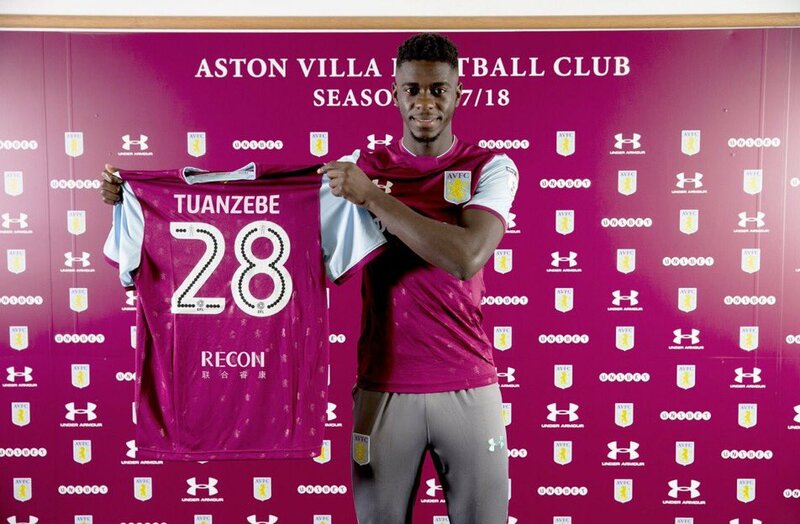 DR Congo born Tuanzebe will wear the No.28 jersey at Villa Park. Because of their shock 3-1 loss to Peterborough in the third round, Villa will not be seen in Cup action this weekend, meaning that Tuanzebe could make his bow against Sheff Utd at the end of the month.